Want to go on holiday but don’t want to leave your trusted sidekick at home? Luckily, your dog can fly with you, well, not literally on your lap, but in a special cabin underneath the pilot’s cockpit. Here’s a quick guide on the ins and outs, and ups and downs, of putting your dog on an aeroplane. If he’s not a guide dog, he will have to be checked in as cargo. While some international airlines used to allow toy-sized dogs into the cabin with you, the majority of international and all local airlines won’t allow your dog into the passenger cabin with you, and trying to sneak in a well-mannered Italian Greyhound or Pomeranian in your handbag is considered a serious offence. The good news is that the temperature and air pressure in the doggy part of the luggage cargo should be identical to the passenger cabin. The bad news is that this section is closer to the engine of the plane and will be noisy, which can lead to your dog experiencing some trauma. Certified guide dogs for the blind and deaf are allowed on all local and international flights free of charge. Other dogs are allowed in the pet cargo cabin on most local airlines, except Flysafair who have made the decision not to carry pets due to concerns for their comfort. 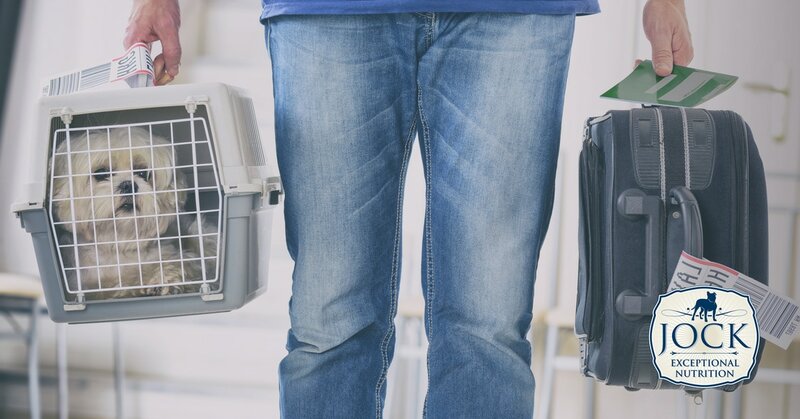 Since 2016, Kulula has partnered with BidAir Pet Lounges who handles the check-in and transportation arrangements in a more modern, pet-friendly fashion. Different rules and regulations apply to domestic and international flights. Domestic flights have less administrative hoops to jump through, but airlines like Flymango and Kulula require that you inform them at least 48 hours in advance. In some cases, an aeroplane only has space for 2 pets, so don’t just rock up with Stoffel at the check-in counter and hope for the best. Domestic flights require a health and vaccination certificate issued by a veterinarian. 8 weeks is the minimum age a puppy is allowed to fly although 12 weeks is recommended. A suitable container or crate must also be supplied to transport your beloved friend in. A suitable crate has ventilation holes, is big enough to allow your dog to stand, lie down and turn around comfortably, closes and locks securely and has a water container which can be filled without the door being opened. The container also has to be made from a solid material to prevent your dog being injured and should be leak-proof. Local airlines allow a maximum of 32kg (crate included) and charge dogs as per normal extra kilogram of luggage. Generally, the same basic rules apply for international flights but the paperwork is more complicated. Each country has their own laws and required health documentation, so check beforehand with the embassy or consulate of the country you are traveling or emigrating to. Most countries also require a period of quarantine after arrival before your dog can be released in your care. Dogs entering South Africa have to be registered as ‘manifested cargo’ and need to be micro-chipped. Due to the complicated nature of the bureaucratic process, many people choose to make use of the services of a pet travelling agent. Many specialised companies exist that will help you organise all the paperwork and give you peace of mind that your furry friend is taken care of during this stressful time. These agents can also be used to arrange local flights. 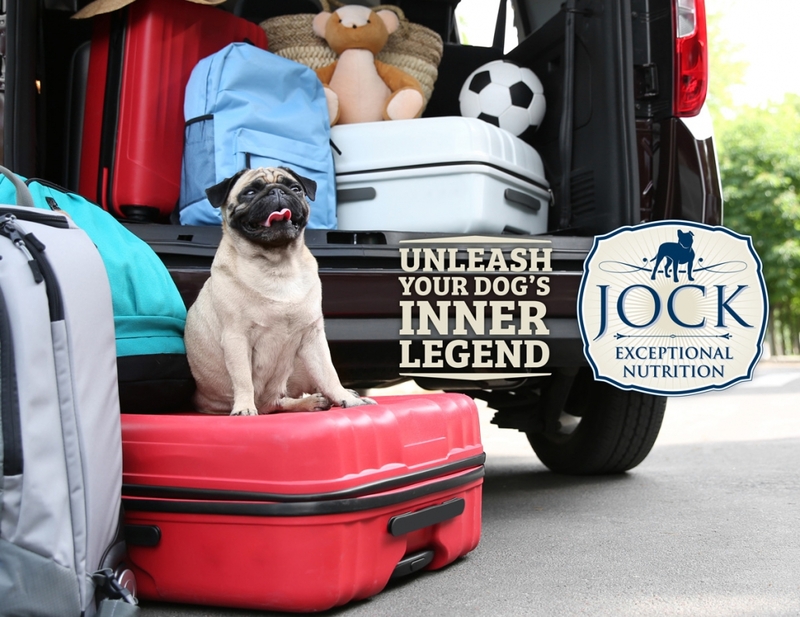 There are one or two things you can do to make the trip a little more pleasant for your dog. One is to make the crate as comfortable as possible for him. Pack his or her favourite blanket and chewy toy. Proper exercise on the day of the flight will lower his anxiety and energy levels. Eating four hours before flying is recommended, but keep giving your dog water right up to the time of booking in. Herbal remedies like Rescue Remedy might also help your dog to stay calm, but remember to test any medication before flying to make sure your dog does not have any adverse reactions. Generally, sedative and tranquilisers are not recommended as this might affect a dog’s respiratory system and ability to maintain equilibrium when air pressure changes. The best thing is to consult your vet for expert advice on the specific breed. Remember that noise levels, uncertainty, an unfamiliar environment and a long period of separation (especially on international flights) will be traumatic for the vast majority of dogs. Travelling by car, if possible, is better. But if your furry friend has to fly, he will survive — it just won’t be the most pleasant experience he will ever have. So give him a big treat when you reunite with him on the other side!